Why choose Web of Science? By meticulously indexing the most important literature in the world, Web of Science has become the gold standard for research discovery and analytics. Web of Science connects publications and researchers through citations and controlled indexing in curated databases spanning every discipline. Use cited reference search to track prior research and monitor current developments in over 100 year's worth of content that is fully indexed, including records and backfiles dating back to 1898. 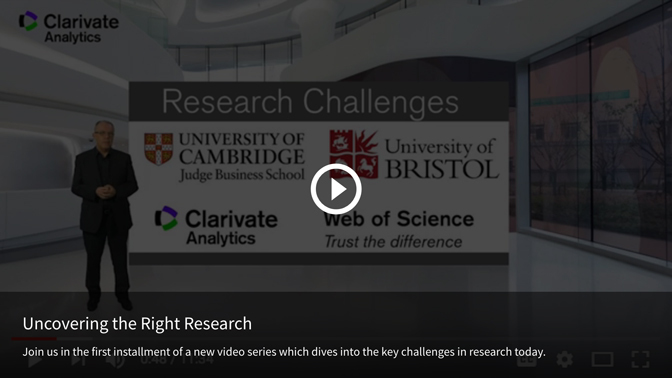 Keep up to date with enhancements, releases and other Clarivate Analytics news.